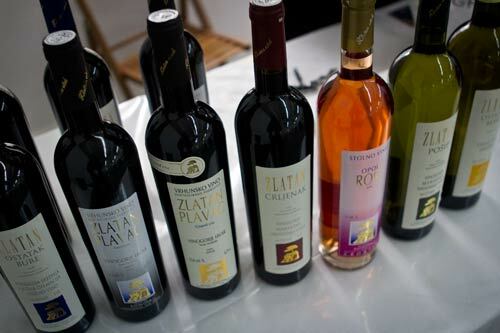 Coming from Day I, naturally Day II of the Zagreb Wine Gourmet Weekend was a more smoothly-oiled machine. Everyone had settled in to their tables and more signs had been put up to make sure that everyone saw that there were two separate winery sections, especially the second one where there’s all the food in addition to some great wines! Today was something of a discovery day. Recovering from refusing to spit too many good wines yesterday, mixed with Alen Bibich’s afterparty last night, it was a slow morning. That meant, hitting up Zlatan Plenković, before the thirsty hoards arrived so that I could spend a bit of time with what has generally been one of my favorite coastal wineries in Croatia when it comes to the larger style you get from all the sun. They didn’t disappoint and all of the past wines were solid. I mean, Grand Cru? Yeah, gimme, gimme. What has been a really great addition to their line is the Ostatak Bure white and red. These two bottles are a bit more pulled back and a bit more food friendly. Anyone who doesn’t like the large style of the Plavac Mali wines should give them a try. I do like that large style from time to time, but I also like this type of wine for a daily drinker. Also of note was their Crljenak which is definitely coming along and progressing. Previous vintages were good, but not definitive of character. 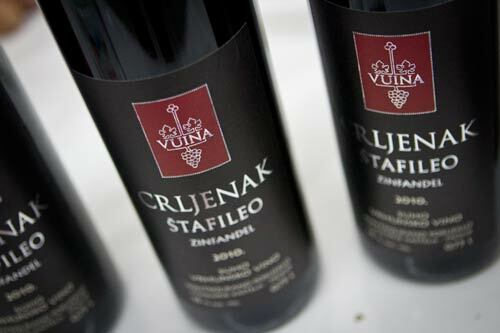 Of course, they’re having some competition on this front as other wineries are putting out a Crljenak as well, which I discovered in Vuina. Vuina are new to me. They have a wonderfully pleasing line of wines. There’s no white, but a Rosé, Babica, Plavac Mali standard and barrique, as well as their own Crljenak. They need to have a proper review at some point as what they’re making is great over near Trogir. But their Crljenak is especially noteworthy as it’s a completely different style than what Plenković is making. Will there be a future ‘Crljenak Showdown’ article? Oh yeah. I was also fortunate enough to meet with part of the team behind Taste of Croatia. If you’re not familiar with them, they’re putting out some great articles about the gastronomy of the country. And, naturally they happen to know a huge slew of people in food and wine. Goran from ToC introduced me to Ivan Damjanić from Istria. Ivan is making some very nice wines out there in the far west of Croatia and he appears to use only stainless tanks for aging, so when you taste them, you really taste the grapes. His Borgonja is a wine that I’ll need to revisit. For starters, I’d never tried it before, although I had heard of this oddly named wine that was original thought to be a French Burgundian grape. But more than anything, it was quite delicious and subtle with some wonderful depths to it that merit a longer, more protracted tasting. These events are always overwhelming, even is you’re making sure to spit your tastings religiously and more will be forthcoming once Day III has passed. Maybe it’s time to start digging in to the pršut delicacies.